Felice Cohen lives in a microstudio in Manhattan’s Upper West Side. Her microstudio apartment has about 90 square feet of total space and measures just 12 feet by 7 feet. In this video, Felice shows us her tiny kitchen (toaster oven, hot pot and mini fridge), the toilet where she bumps her knee and her now-cozy lofted bed. Churchill has short-term corporate housing that is more spacious than Felice’s apartment available in New York City. Please contact us at 866-255-0593 or NewYork@FurnishedHousing.com for more information. 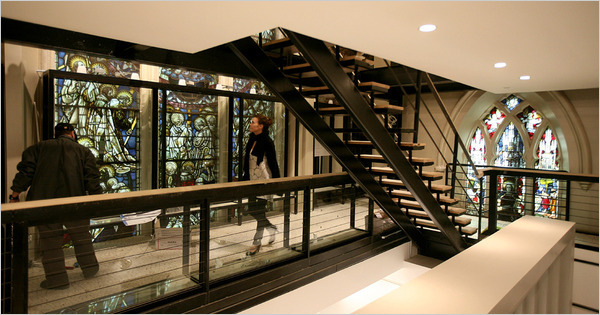 NYTimes.com details the transformation of The Limelight, a Church Turned Nightclub, into a Market. The Limelight in New York opened in November 1983 and was one of NYC’s most famous nightclubs in the 80s through 90s. This spring, it will reopen as the Limelight Marketplace housing 35 upscale boutiques and restaurants. The $15 million renovation has made the interior much brighter but it still retains the maze-like feel that was a hallmark of the Limelight. Brands include Le Sportsac, Baci Gelato and the bootmaker Hunter will be opening stores in the Limelight Marketplace. Churchill has short-term apartments in New York City. Please contact us at 866-255-0593 or NewYork@FurnishedHousing.com for more information. Are you looking for alternatives to college dormitories? 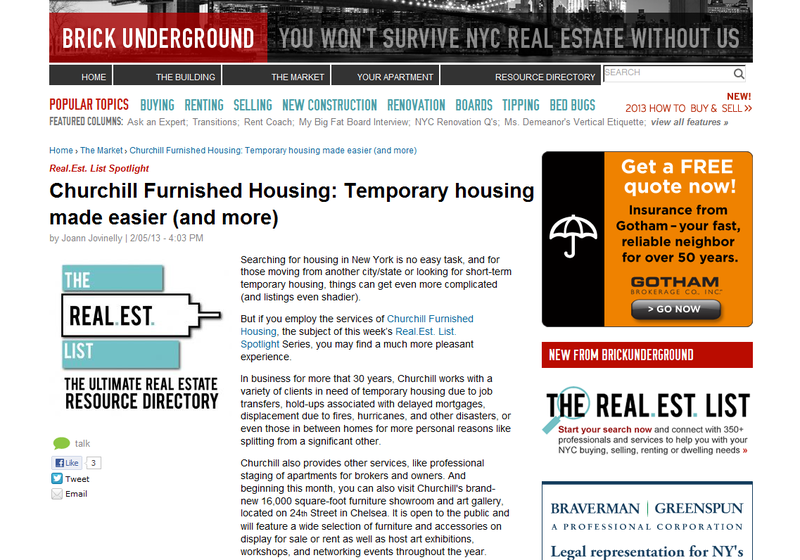 Churchill has temporary housing solutions in New York, New Jersey, Massachusetts and nationwide. Please contact us at 866-255-0593 or email us for more details. At a minimum of 65 feet tall and covered in over five miles of lights, it’s easy to see why Rockefeller Center‘s Christmas tree is one of New York’s most visited holiday decorations. But it isn’t the only tree worth admiring. Bigger isn’t necessarily better: Metropolitan Museum of Art‘s blue spruce is only twenty feet tall. 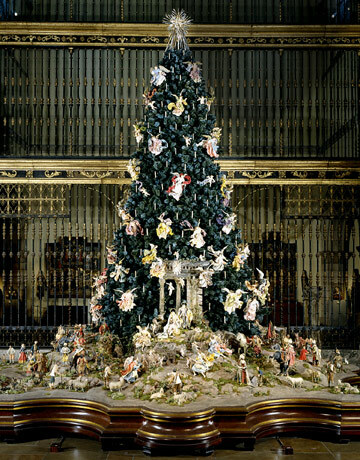 This indoor tree is adorned with fifty angels and surrounded by over 200 crèche figures, all of which are over 200 years old. The crèche figures depict the traditional Nativity scene, the procession of three Magi, and a large gathering of peasants, townspeople, and all kinds of animals – even an elephant! 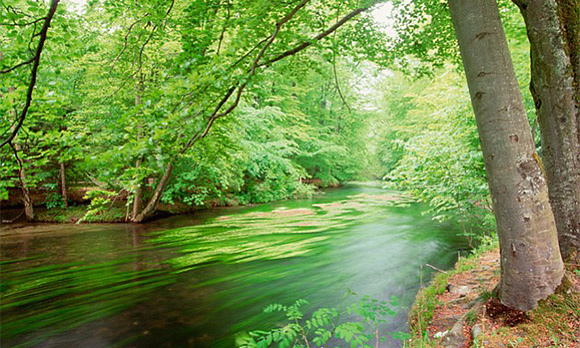 Like a little mood music with your tree? Stop by South Street Seaport’s fifty-foot Douglas Fir. The Big Apple Chorus, an 85-member men’s a cappella group, delights visitors with two evening performances on Fridays and two afternoon performances on Saturdays and Sundays until Christmas Eve. Dubbed The Peace Tree, one thousand paper cranes trim the tree at the Cathedral of St. John the Divine. Bring the kids for a crane-making workshop, or learn about the pre-Christian origins of the holiday on a walking tour of the Cathedral. Christmas trees are going up all over the city, but our prices aren’t. Contact Churchill for affordable furnished housing in New York for your holiday visit to New York.